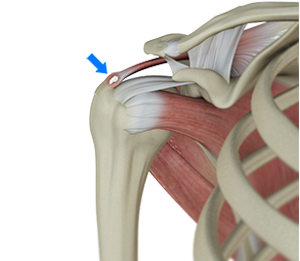 Calcific tendonitis is the buildup of calcium deposits within your shoulder tendons. The condition can lead to restriction of shoulder mobility and pain. It is commonly seen in people who perform a lot of overhead activities or play sports such as basketball and tennis. Calcific tendonitis may be identified by physical exam and X-rays or ultrasounds. Treatment options include pain medication, activity modification, shockwave therapy, therapeutic ultrasound, percutaneous needling, and arthroscopic debridement.